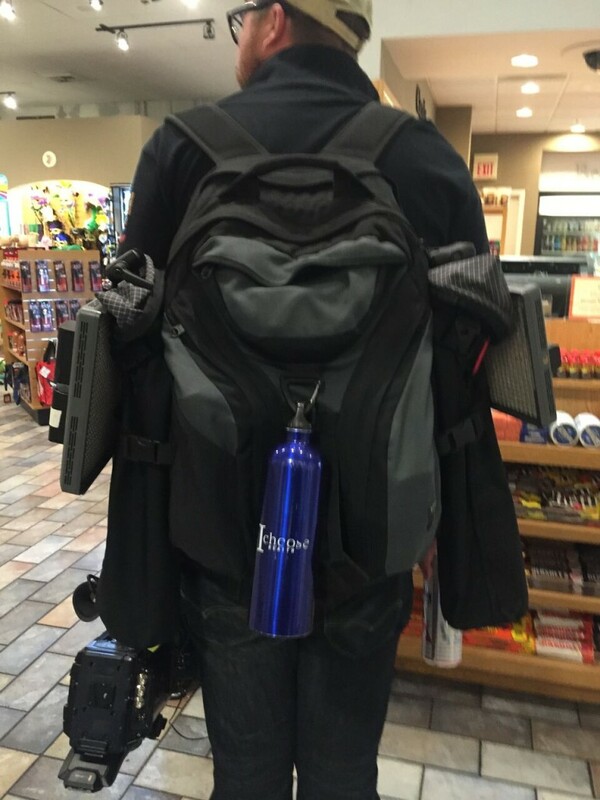 The most portable light is one you can mount on top of your head. If you’ve read any of my posts before, you’ll know that I love the Westcott Ice Light (version 2 as well as version 1). Last year my Video Dads partner Travis and I have shot over 170 interviews in people’s kitchens, offices, and (often, for some reason) basements, and we used the Ice Light as the primary key light each time. But as much as the Ice Light is great for very close and intimate interviews, there are many other scenarios where we need more powerful lights, while still being super lightweight and portable. And lights that don’t cost more than our cars. At NAB 2016 we used two Aputure Amaran 672W lights for our interviews. So we’ve have been using the Aputure Amaran lights quite a bit. 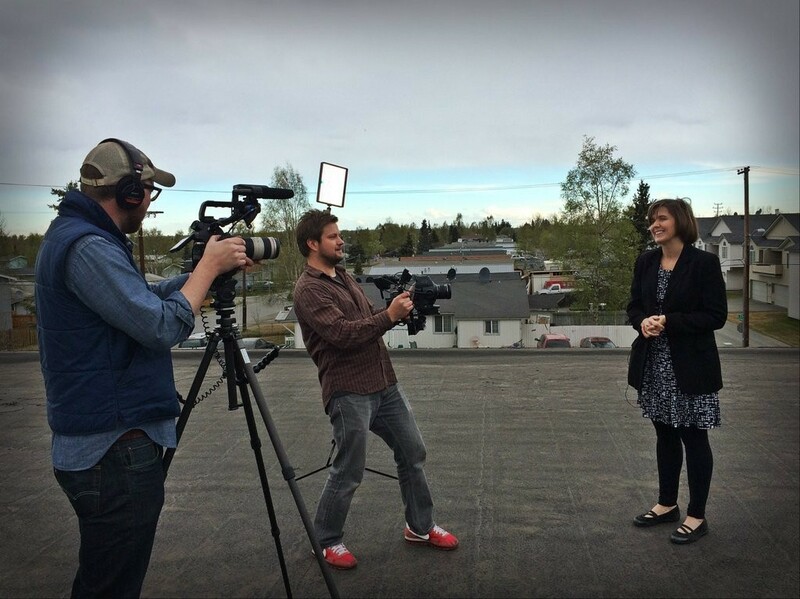 In interviews we use them as fill lights, as well as lighting the backgrounds behind the subject, often entire rooms. We’ve used them indoors for two person interviews and shots. And outdoors, well, they’re pretty much the only lights we take outdoors. 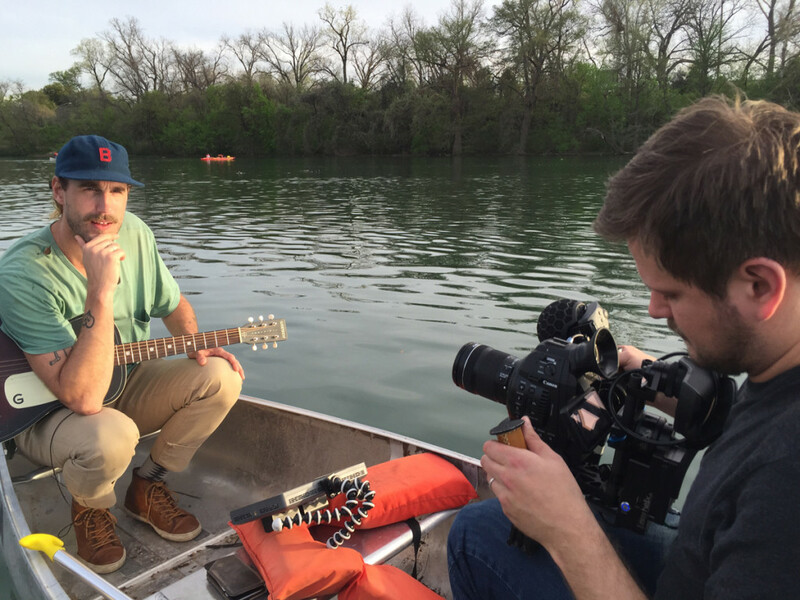 One Amaran lights up Rayland Baxter at SXSW 2016, for a music video shoot on a canoe. The Amaran lights come in several different flavors. There are the HR672W, which are daylight rated and have a wide angle of light, there are the HR672S which have a narrow spot angle, making it brighter for day use but might need diffusion for lighting a wide room, and there’s the HR672C which is a convenient Bi-color. All the Amarans are about the size of an iPad, they weigh practically nothing, and they run off the very popular Sony NPF batteries. What’s really nice is when the lights are plugged in, they charge the Sony batteries. At the end of a shoot when we have dozens of Sony batteries to charge, we can save room in our bag by leaving several chargers at home and only use the Amaran lights as chargers. The lights also come with a remote that can turn on/off and control brightness, and one remote can be used on several lights. This is super convenient when we hang an Amaran using a simple Joby Gorillapod, and then control its settings while looking through the camera. 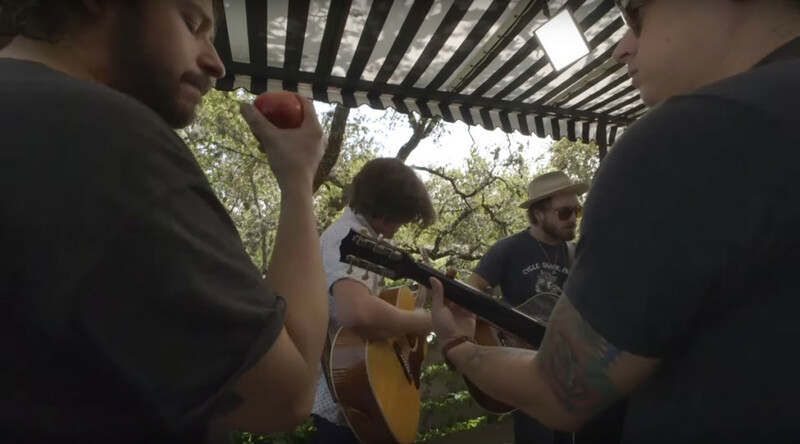 We hung a couple Amaran lights at Hotel Saint Cecilia at SXSW Austin, for a shoot with the Wild Feathers. There are definitely brighter and more powerful lights out there, but many of them are made of heavier metal and require more complex battery solutions, and of course they’re more expensive. Aputure Amaran HR672 lights are about $275 each, which comes with two batteries, a carrying case, a tungsten filter and diffusion gel, plus a light stand adapter that allows you to tilt the light angle – this piece alone can be pretty spendy. For the price, the Amaran lights are a no brainer, they’re great quality (high CRI) and bright, and best of all, they’re very portable. 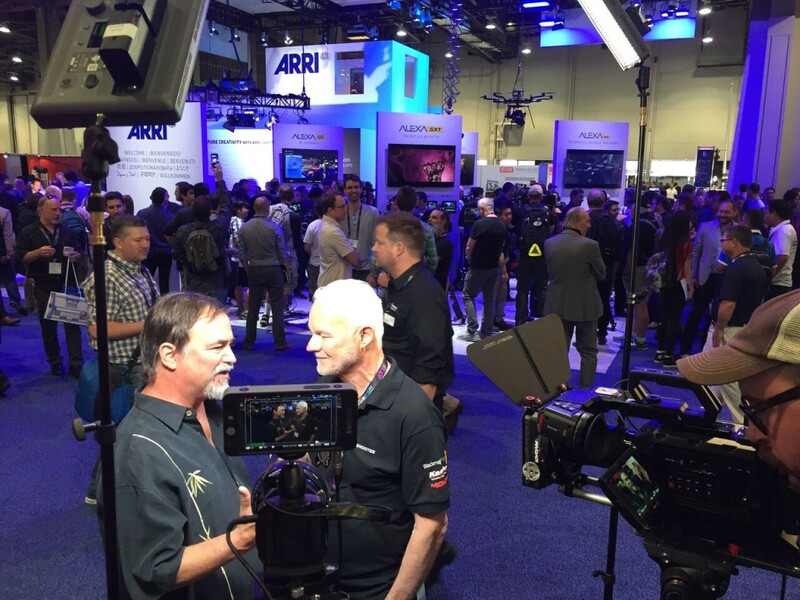 For a week at NAB we carried two Amaran lights connected to stands and ready to go. If you’re not sure which of the 3 Amaran lights to get, I’d say get one of each! The spot offers the most amount of brightness if you plan to use it mostly outdoors, the bicolor is naturally the least bright (because the LEDs are split between tungsten/daylight to offer variable color), but they’re also very convenient if you want to use it indoors as a fill or background/room light. And the daylight wide, I think, is a great mix of both, and since it comes with a custom tungsten filter, I think it’s a great one-light-fits-all. Happy shooting!